As a dog owner, one of your biggest concerns when it's time to pull out the cleaning supplies and start cleaning your floors and carpets is probably related to the safety of your beloved furry friends. Unfortunately, you cannot simply ignore the dark or yellow circles and spots on your carpets – pet accidents that are often times unavoidable, no matter how careful you might be. Of course, cleaning up after your dog is not a walk in the park. The good news is that most of today's carpet sprays currently found on the market are formulated to fight against the specific smell of dog pee. The bad news is that these sprays contain toxic substances that can trigger coughing fits. And they are even more harmful to your dogs, especially if you own a smaller breed. Even sprays that have the eco-friendly label on them are highly likely to be harmful. The Environmental Working Group is an activist group in the U.S. that conducts extensive research in a number of fields. Their ratings are based on a mix of factors, including a product's potential to trigger asthma and respiratory problems. It also assesses a cleaner’s potential for causing skin allergies, as well as its reproductive toxicity. The impact on a cleaning product on the environment is also evaluated by the EWG. And the same goes for the ingredients that are suspected of causing cancer, or that are already known and proved to cause the disease. An A rating for your carpet cleaning products for pet stains is an ideal you should aim for. Sadly, there are only a few entirely safe cleaning supplies you can currently buy. Most of them only remove the specific smell of dogs, and not stains and issues. This is where professional carpet cleaners near you come into the picture. What Can Carpet Cleaners Do For You? 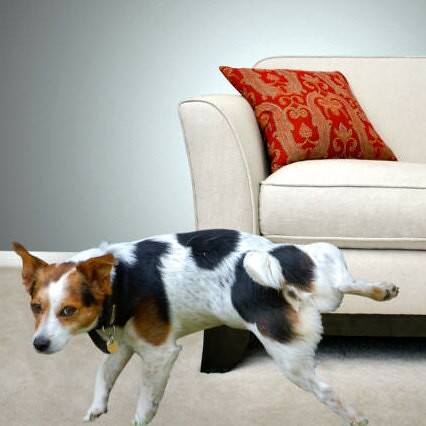 Expert carpet cleaners can get you rid of much more than surface stains and nasty pet smells. They work with specialized tools to remove dust mites and allergens, and ground-in dirt. They can also provide you with protective coating services that can better protect your carpet against future stains, and even clean area rugs, Oriental carpets, and curtains. The certified carpet cleaners recommended by Prosco specialize in the safest and most effective methods of cleaning carpets: steam cleaning. This is an eco-friendly solution that will not do any harm to your pets or children. Regular vacuuming will not suffice, even though it can help better maintain carpeting by removing surface dirt and dust. However, the remaining pollutants and allergens will continue to thrive, unless they are thoroughly removed from the carpet fibers. Steam cleaning or hot water extraction will also gently wash your carpets and not cause any harm to them. The hot water mixed with a professional cleaning solution is injected deep into the fibers. The suction extracts all dirt and pollutants, together with the cleaning solution. Up to 95 percent of the moisture will also be removed, so your carpets can easily dry out and back into shape. Most carpet manufacturers recommend steam cleaning as the number one cleaning method. While you can rent or buy your own steam cleaner, it might not be the most cost-effective alternative. Hiring professional cleaners for your carpet should help you get rid of the problem a lot easier and hassle-free. Baking soda is one of the most efficient carpet cleaners that all homeowners have in their pantry. It can clean, freshen and revitalize carpets, while not impacting the environment in a negative way. Baking soda is also able to get rid of stains and odors. It can be sprinkled on the carpets, or used in carpet cleaning machines with equally good effects. Non-greasy stains can be removed with the help of baking soda sprinkled over them. The stain should be misted lightly with some water. Let the mix sit on the stain for at least three hours. Finally, you need to vacuum the stained area and you should see the stain evaporate. Greasy stains will require a different cleaning method. You should use a paper towel and blot it up, then sprinkle baking soda and let it act over the night. Finally, vacuum the area and see if you need to repeat the process. For better results, you could also rely on some dish soap and blot it into the stain to get rid of most of the grease.